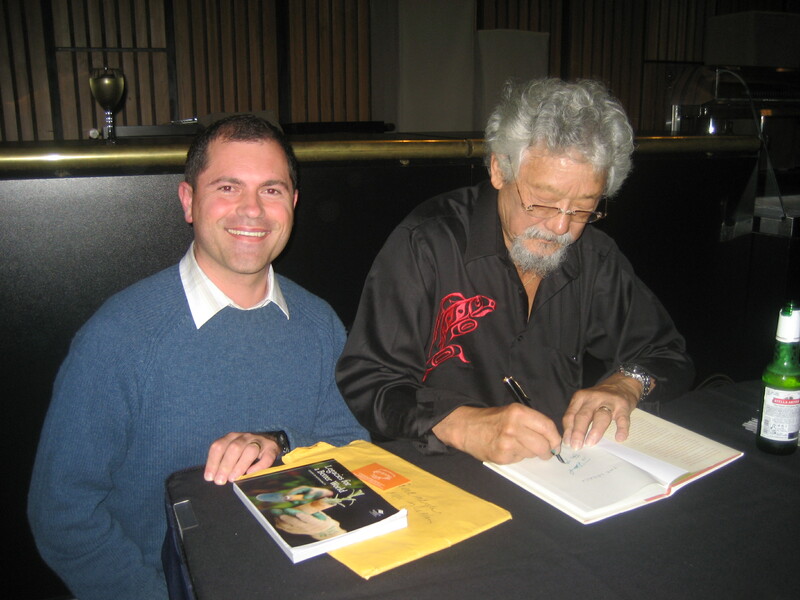 I had the privilege of meeting David Suzuki last night at the Sydney Oprah House to see him talk about his life’s work and his latest book The Legacy. If you ever get the chance to either meet David, or see him live, I highly recommend it. The Suzuki Diaries is a road trip, an adventure, a journey. It follows the legendary David Suzuki and his daughter, Sarika, as they travel to Europe to explore what a sustainable future might be like. In The Suzuki Diaries, David takes off his mask as the host of the The nature of things and brings candour, humour, and fatherly devotion to his status as on of Canada’s greatest icons. Sarika, a charming and dedicated scientist about to begin her own career, brings out this other David, the person we’d all like to know a little better. Together, David and Sarka find ideas, innovation, and inspiring individuals who are providing that sustainability does not mean sacrificing the quality of our lives. Instead of sacrifice, father and daughter find satisfaction and hope at every turn. The Suzuki Diaries illustrates what is truly possible if humas have the will.